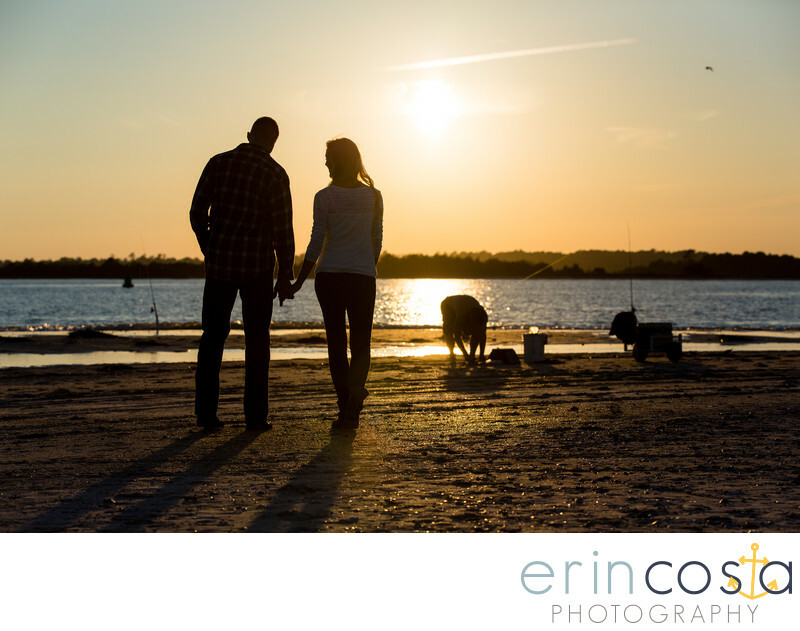 Photographing engagement photos at the south end of Wrightsville Beach at sunset is one of the most beautiful locations you can ask for. As the sun sets over the water, you can see the beautiful orange glow over the water stretch on forever. Sunset at Wrightsville Beach is so romantic and calming, with families out for a stroll at sunset, fishermen unwinding for the day and often times you can see couples cuddled on their blankets just watching the sun go down. Having your engagement photos at Wrightsville Beach is a perfect backdrop for the beach loving couple.